Catalonia’s second-largest city, Girona embodies old-world charm, with its narrow cobblestone streets and traditional Catalan culture. A wealthy community during medieval times, it boasts impressive examples of Gothic and Roman architecture. Still, the modern world is also clearly present, with the new town center’s updated architecture in its prominent river side location. 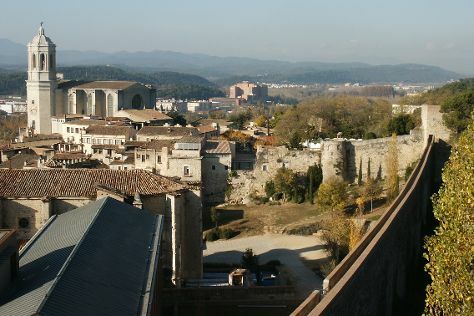 In fact, because of Girona’s prime spot at the intersection of four rivers, it offers the allure of a canal-city, with picturesque houses and fortifications overlooking the water. Girona is in Province of Girona. Plan your holiday in Girona and other destinations, from the rural, to the urban, and everything in between, using our Spain trip maker app .